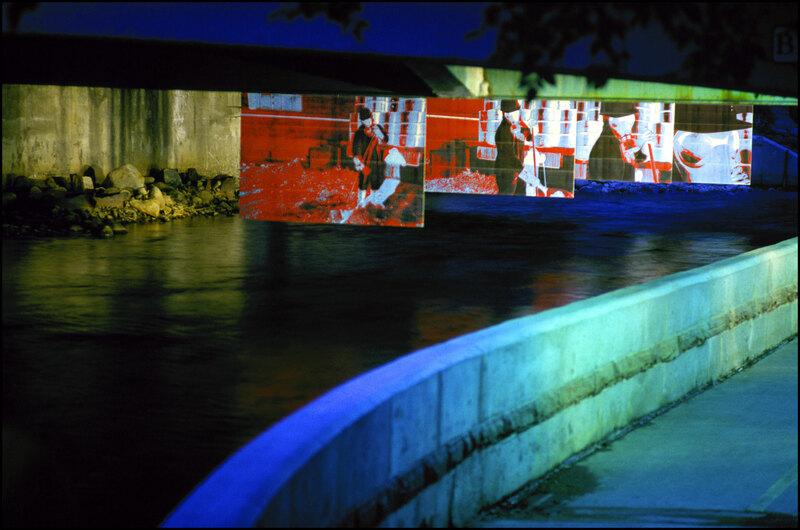 “Sculpture in the Park” was a public art installation, produced with a commission from the Boulder Center for the Visual Arts. 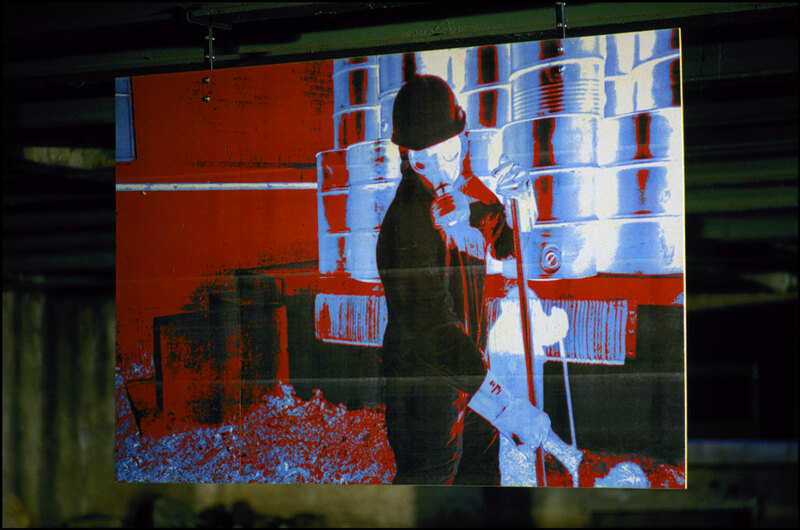 It consisted of four 4’x6′ sequential image panels made of digital mosaic laser prints with night lighting. 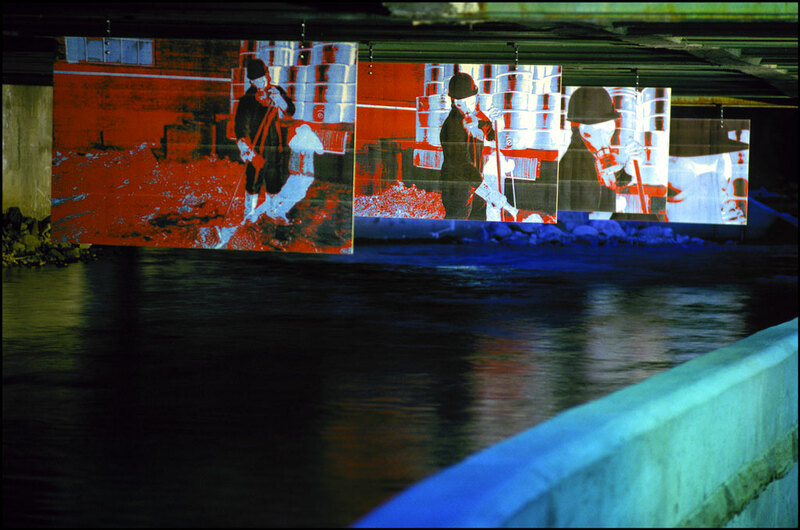 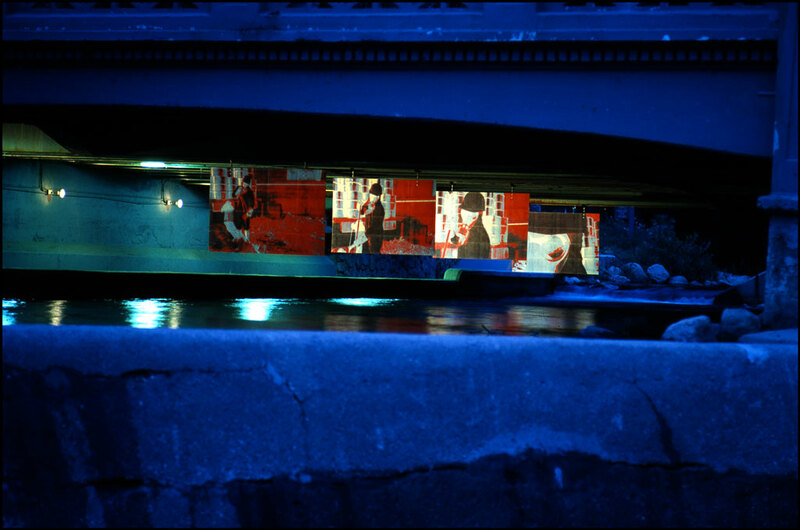 It was installed beneath the Broadway Bridge in Boulder Colorado’s Civic Park during the summer of 1988.